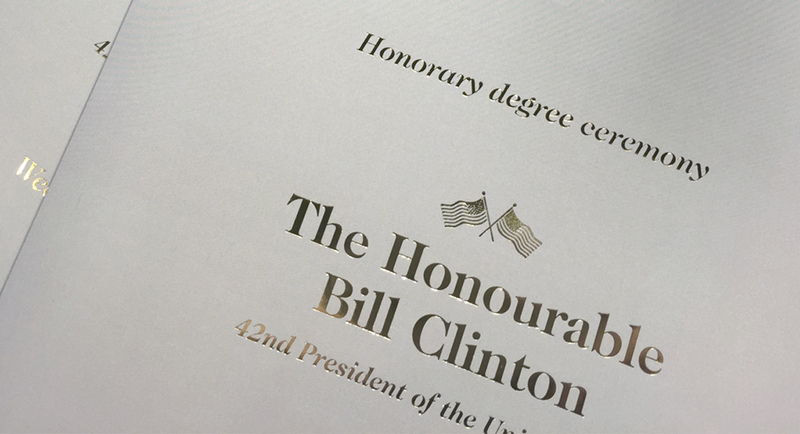 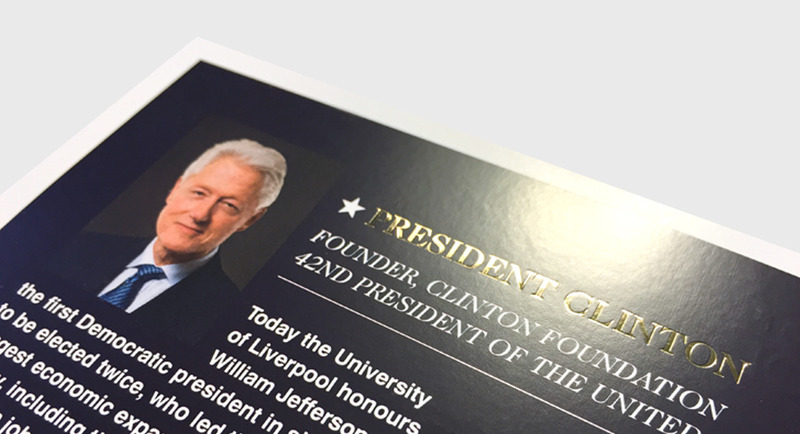 The University of Liverpool held a special ceremony in Washington DC to honour former President, Bill Clinton. 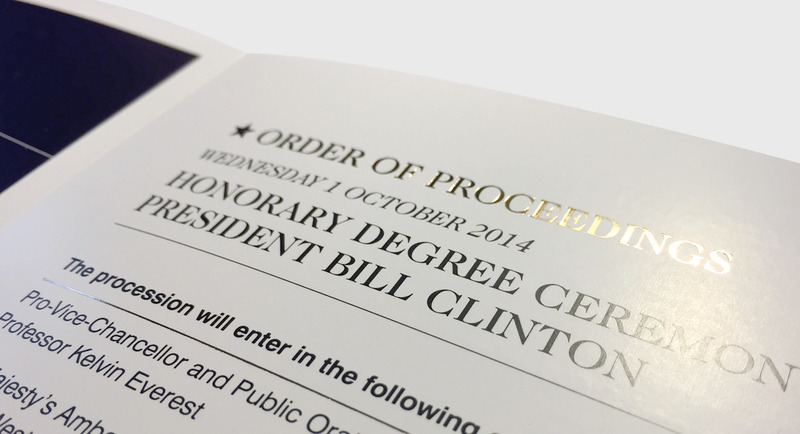 We were assigned the task of designing the literature for this exceptional event. 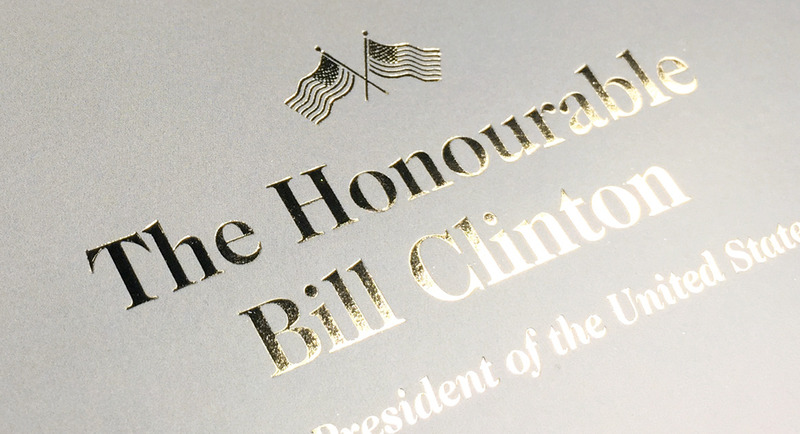 Having created several concepts, the initial feedback received was outstanding and the selected design was taken forward.